The growth and advancement of surgery in the 18th and 19th centuries increased the number of dissections and other explorations of human anatomy. Therefore, bodies were in very high demand for both medical institutions as well as individual surgeons. Usually executed criminal bodies were donated or sold to medical institutions, but with the increase in dissections, demand quickly outgrew supply. 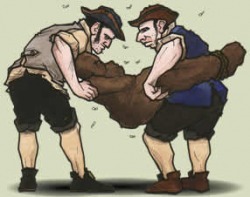 The lack of cadavers gave rise to body snatchers, also known as resurrection men. Body snatchers would sell bodies to medical institutions, making very large profits. Often, graveyard attendants were bribed to keep quiet and look the other way as the grave-robbers went to work. Perhaps the most famous body snatchers were William Burke and William Hare due to their unique method of obtaining bodies to sell. 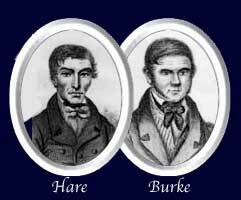 Burke and Hare would murder individuals and sell their bodies. Although they were caught within a years’ time, their business proved to be very lucrative. As surgery evolved so did society. Today it is considered acceptable to donate your body to medical institutions and even museum exhibits. However, during the 19th century there was a stigma for those of whom that were used as science specimens. Perhaps it was due to the fact that the majority of the cadavers were criminals who had been executed. Nevertheless, somewhere between the 19th century and the late 20th century social norms had changed and science, especially medicine, was glorified. Although it is not exactly clear when such a change had occurred, it is clear that social implications of donating bodies to medicine has altered drastically.